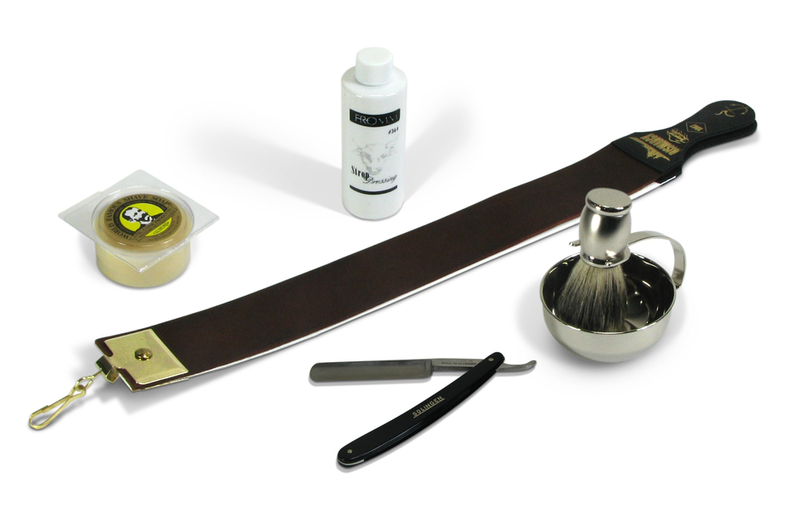 This kit has everything you need for a nice, warm straight-razor shave. We took our straight razor starter set and added a badger-hair shaving brush, shaving soap and bowl for the perfect wet shave kit. Save 10% when buying these items in a kit rather than separately! A monogram or inscription makes a great personalized touch! This kit has everything you need for a nice, warm straight-razor shave. We took our starter set and added a badger-hair shaving brush, shaving soap and bowl for the perfect wet shave.